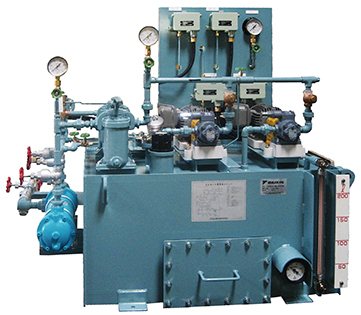 DCO (Daikin Circulation Oil Lubrication System) | Products | Daikin Lubrication Products & Engineering Co., Ltd. The six standard models feature lubrication amounts from 10 to 100 L/min and are exclusively for small machines. (Note) Values for a 60 Hz power supply frequency are indicated for lubrication amount and oil pump. When the frequency is 50 Hz, consider these values to drop by 17%. This standard model is matched to all kinds of machinery and integrates the most rational combination of component equipment to improve oil filtering capacity and reduce the size of the overall system. This cellar type is intended for large-scale mechanical equipments. Systems matched to specific user needs are designed after consultation with the user. Large reduction gears, rolling mills, other large equipment and facilities.